This article describes how to fix issues you may encounter while trying to use screen capture on Windows. When trying to capture a screen shot the screen will resize if more than one monitor is attached to the computer and the zoom setting for the monitors is not the same. The workaround is to set the zoom setting to the same value for both monitors. 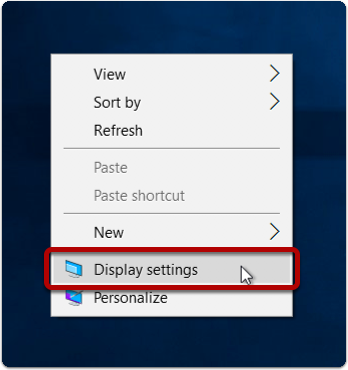 Right-click on desktop and choose "Display settings"
Prev: Why is the screen black when I try to capture the screen on Windows? Next: Why does ScreenSteps freeze when I try to capture the screen?